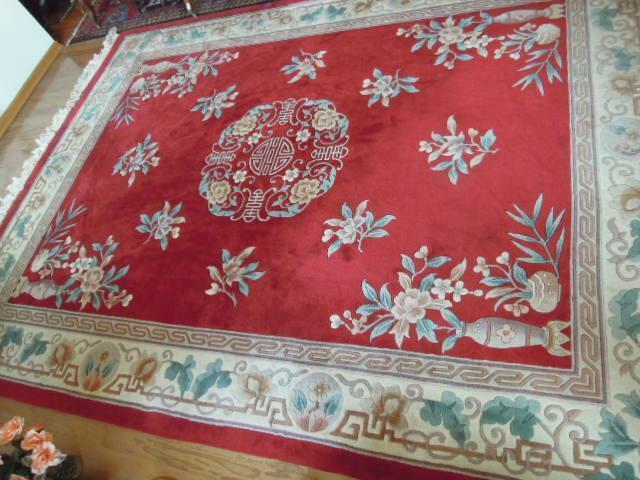 This Stunning 100 wool pile rug is meticulously hand-made red background, features scattered beige and peachy flowers with aqua leaves a center floral medallion grouping with white highlights and flowers in the corners in decorative vases. 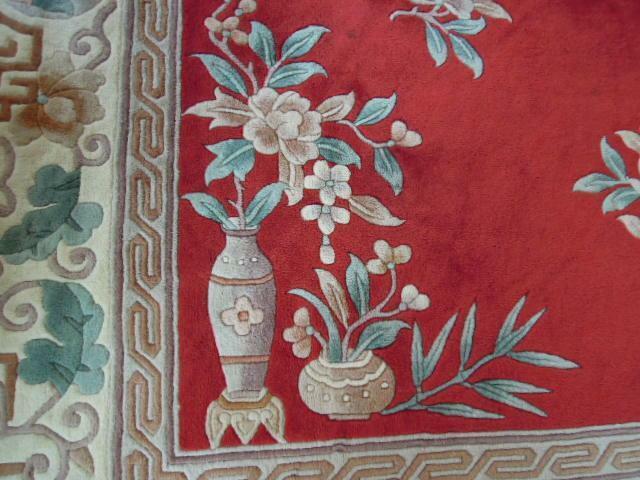 The borders have a array of flowers with several designs with many shades including brown and gray. 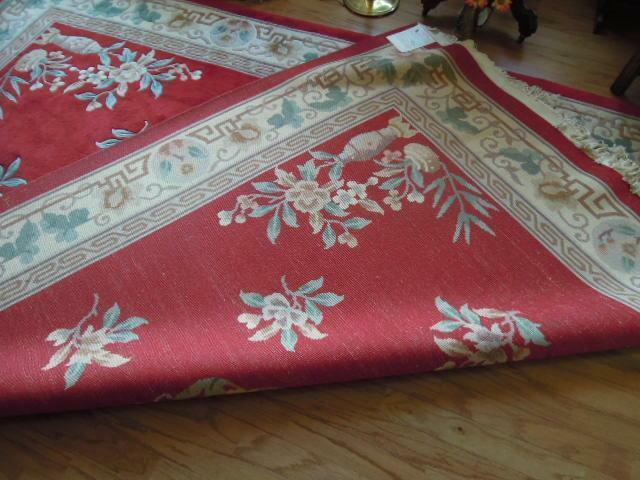 Both ends are finished with hand knotted cotton fringe. 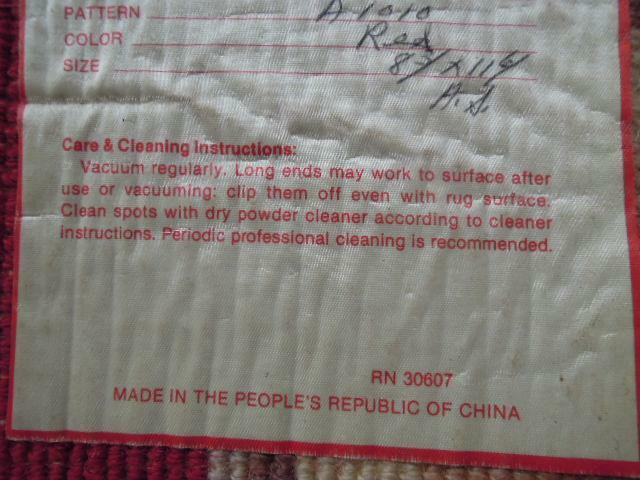 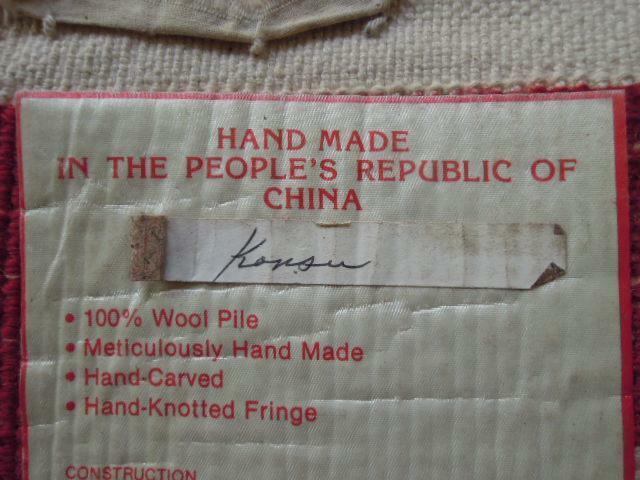 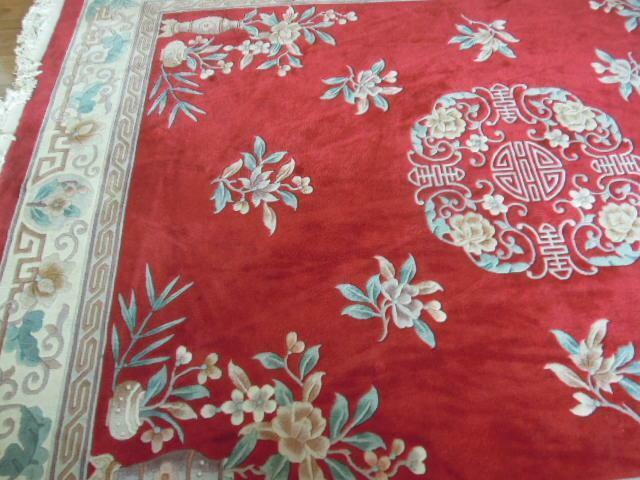 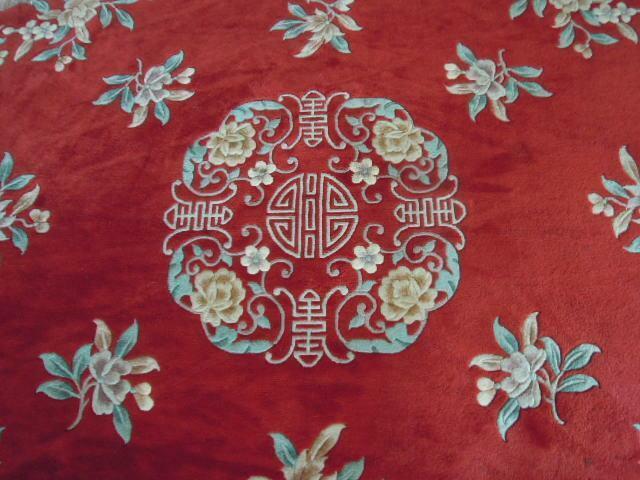 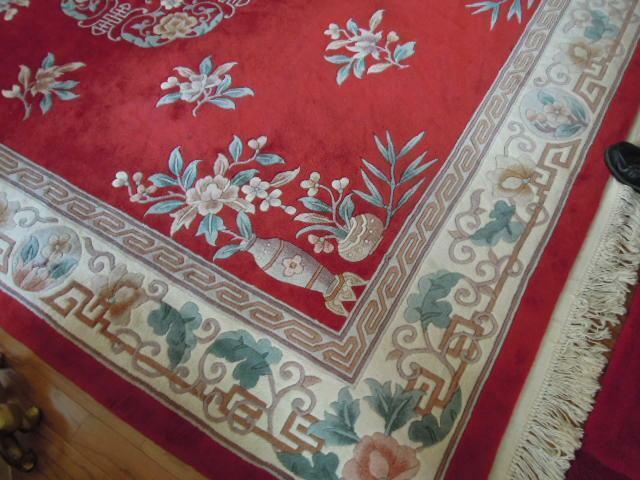 Items Similar To "Hand Made Wool Area Rug Floral Medallion Vases China Stunning"